US President Donald Trump told Palestinian President Mahmoud Abbas and Jordan’s King Abdullah on Tuesday he intends to move the US Embassy in Israel to occupied Jerusalem, a Palestinian spokesman said, amid a growing outcry across the Middle East against any unilateral US decision on the ancient city. Saudi Arabia’s King Salman on Tuesday warned Trump the move was a “dangerous step” that could rile Muslims around the world. “Moving the US embassy is a dangerous step that provokes the feelings of Muslims around the world,” Al Ekhbariya TV quoted King Salman as telling Trump in a phone call. Senior US officials have said Trump is likely on Wednesday to recognise occupied Jerusalem as Israel’s capital while delaying relocating the embassy from Tel Aviv for another six months, though he is expected to order his aides to begin planning such a move immediately. The officials said, however, that no final decisions have been made. Hamas chief Esmail Haniya warned Tuesday the US move would be a “dangerous escalation” that crosses “every red line”. “The American administration’s recognition of occupied Jerusalem as the occupation’s capital and moving its embassy to Jerusalem crosses every red line,” the head of the Palestinian Islamist movement, which runs the Gaza Strip, said in a letter to Arab and Muslim world leaders. US endorsement of the Israeli regime’s claim to all of occupied Jerusalem as its capital would break with decades of US policy that the city’s status must be decided in negotiations with the Palestinians, who want East Jerusalem as the capital of their future state. The international community does not recognise Israeli sovereignty over the entire city. Abbas joined a mounting chorus of voices saying the US move could unleash turmoil. “President Mahmoud Abbas received a telephone call from US President Donald Trump in which he notified the president of his intention to move the American Embassy from Tel Aviv to [occupied] Jerusalem,” Abbas spokesman Nabil Abu Rdainah said. The statement did not say whether Trump, who was also due to talk to Israeli Prime Minister Benjamin Netanyahu and Jordan’s King Abdullah on Tuesday, specified the timing of such a move. 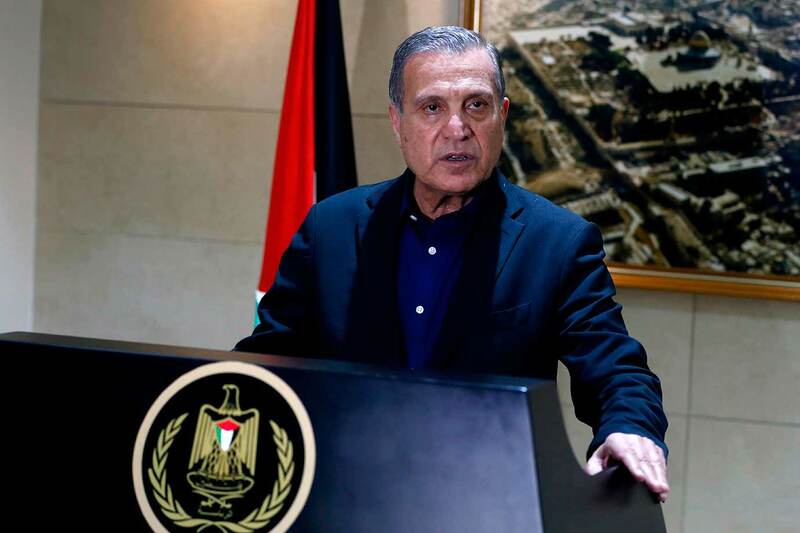 Abbas “warned of the dangerous consequences such a decision would have to the peace process and to the peace, security and stability of the region and of the world,” Abu Rdainah said. King Abdullah was quoted in the statement as telling Trump that such a decision would have “dangerous repercussions on the stability and security of the region” and would obstruct US efforts to resume Arab-Israeli peace talks. Turkey threatened on Tuesday to cut diplomatic ties with Israel if Trump recognises occupied Jerusalem. Senior US officials told Reuters some officers in the State Department were also deeply concerned and the European Union, the Palestinian National Authority, Saudi Arabia and the Arab League all warned that any such declaration would have repercussions across the region. “Mr. Trump, [occupied] Jerusalem is the red line of Muslims,” Turkey’s President Tayyip Erdogan told a parliamentary meeting of his ruling AK Party. Two US officials said on condition of anonymity that news of the plan to recognize Jerusalem as Israel’s capital had kicked up resistance from the State Department’s Near Eastern Affairs bureau (NEA), which deals with the region. “Senior (officials) in NEA and a number of ambassadors from the region expressed their deep concern about doing this,” said one official, saying that the concerns focused on “security”. The State Department referred questions to the White House. A fourth US official said the consensus US intelligence estimate on US recognition of [occupied] Jerusalem as Israel’s capital was that it would risk triggering a backlash against Israel, and also potentially against US interests in the Middle East. It could also derail a fledgling Israeli-Palestinian peace effort led by Trump’s son-in-law and senior adviser, Jared Kushner. US allies added their warnings. The European Union’s top diplomat, Federica Mogherini, said on Tuesday that “any action that would undermine” peace efforts to create two separate states for the Israelis and the Palestinians “must absolutely be avoided”. Speaking alongside US Secretary of State Rex Tillerson in Brussels, she said Jerusalem’s status would have to be agreed through negotiations. The Arab League and Saudi Arabia repeated past warnings, following statements by France and Jordan in recent days. Past Israeli-Palestinian rifts have deteriorated into protests, attacks and fighting and further destabilized the region. Israel captured Arab East Jerusalem in the 1967 Middle East war and later annexed it, a move not recognized internationally.